Each issue, Cornerstones Literary Consultancy explore and critique a reader's opening page. 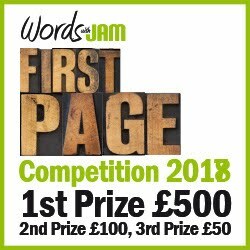 If you would like to participate in their Opening Page Mini Masterclass, send your opening page (400 approx words) as a Word Document attachment to submissions@wordswithjam.co.uk with the subject ‘Cornerstones Masterclass’. Why couldn’t he have kept his big mouth shut? His wife wanted nothing more to do with him. It was too late now of course. Late… his first lucid thought of the day always began with the same mantra. The thought of being late sometimes had him leaping out of bed in a lather of anxiety. According to his watch, it was the twenty-seventh of October, and this fact alone felt significant. Or… maybe it just used to be important, and he’d been in trouble for forgetting it? Yes, it was more likely residual conditioning after living with a control freak for twenty-nine years. Al slunk back under the quilt and searched his befuddled brain but nothing came to mind. Through the window he could glimpse the top of the lime tree and a vivid memory of his children hiding in its leafy canopy took him back to when they were still tiny and dependant. Happy, easy days. His life then had been simple; all he had to do was be the best daddy in the world and so far as Al was concerned, it was the best job in the world. He’d played the goon by day, and the eccentric artist by night. The perfect life balance. The closest he got to it now was when his son allowed him to look after his grandchildren, but they came with a list of health and safety instructions, and usually ended with Al getting into trouble with his daughter-in-law; the head teacher from Hell. He was normally silver-tongued when it came to women, but this one was in a class of her own. She’d still not forgiven him for gifting white rats as Christmas presents to the children. And anyway, how could he possibly have known, that they’d both been pregnant? Bloody women, but how he loved them! There were female forms on both sides of him. Jo was a lot younger, blonder and with a keen sexual appetite, but she was asleep. Restless, Al turned over and met the soulful eyes of his dog, drank in the faint dogginess of her fur, the cold inquiring nose, and the stilton-like kiss of her breath. A heavy paw hit the middle of his chest. Even though she was betrothed to a male Weimaraner with exceptional presence, the dog was still jealous of his girlfriend. Al turned onto his back in what he hoped was a position of impartiality and thought about his wife, the ultimate drama queen. The woman he’d married thirty years ago, and lost eleven and a half months ago, practically a year of drifting, of wondering why and what for. Too late for a midlife crisis, so what the hell was it? Helen Bryant (nee Corner) director and founder of Cornerstones literary consultancy. This is a competent opening and an intriguing one. Jan introduces us to a main character, Al, who comes through well and has promise. Whether or not he’s the main character, without seeing the synopsis I wouldn’t know, but we’ll assume the former, and more on this later. The reader has a glimpse into Al’s life and Jan, up to a point, successfully interweaves backstory and current character set-up. It’s important to ground the reader from the off, so for a first impression what do we know about Al? We know that he’s separated from his wife, that he’s middle-aged and has grandchildren. He’s late for something, which in the past would have had him darting out of bed, but that could have been down to his controlling wife. Perhaps he’s more laid back now or experiencing latent rebellion. We also know that the date, 27th October is significant. Could it have been a wedding anniversary? In terms of set-up, he’s in bed with his young girlfriend and dog, and we suspect that he loves his dog more! We know that he’s befuddled and a bit lost, that he mourns the days when his children needed him and that he clashes with his uptight daughter-in-law. This is the plot arc – what has happened/and is happening externally to the character and how it impacts on him internally and develops his emotional arc. So, looking internally and at his emotional arc what do we know? Following the 3-act graph structure, for the opening of a novel it’s important to have a sense of the main character, set-up and problem or goal, particularly for certain genres such as commercial or children’s fiction. Here, we know that Al is dissatisfied and stuck in a rut, and that even though he’s freed from his controlling wife, we get the feeling that he’s looking backwards and not sure how to kick-start and improve on his present situation, which lacks lustre. And even though he hints at a mid-life crisis I think he sounds too in control for this. If it’s Jan’s intention to have him at a crisis point then we need to be shown this rather than have Al observe it, which gives the impression that he’s in control. I also wonder if there’s a bit too much information too soon sown into the narrative, which gives it a breathless feel. And while one could argue that this ‘shows’ his befuddled mind the result was a bit of confusion on my part, and a sense of fractured scene structure, rather than a character on the edge. This is linked to Pacing – what to impart to the reader and when – and I felt that Jan could hold back on much of his backstory and seed it in when appropriate. It’s tempting to colour in a character as much as possible when starting a novel but sometimes just by slowing down a scene and picking out a tiny detail the result is more revealing and intriguing. Perhaps if Al focussed on the significant date or, ‘why he couldn’t have kept his mouth shut’, and his thoughts had a cause and effect on his actions so we’re more in-scene, it would allow the reader to be more involved. If the reader was truly in Al’s point of view and voice there would probably be more external interaction, more of a weaving of voice and action, and this would heighten tension, conflict and pace. Genre-wise, I’m not sure if Jan has more than one point-of-view character in this novel but if this is women’s fiction, which would need romance and drama at the core, it’s an interesting tack to open with a male character. Adele Park’s bestselling novel, The State We’re In, also opens with a male character and as a technique it works well. I would expect for Silver Rain – great title, by the way - to also have a main female character, and I wonder who that might be? In summary, Jan is a confident writer and I sense that she feels at home with this story. It has an energy and a promise – albeit a work-in-progress - and we should watch this space. Good luck, Jan, and thank you for giving me the opportunity to look at your opening page. Cornerstones is a teaching-based literary consultancy. 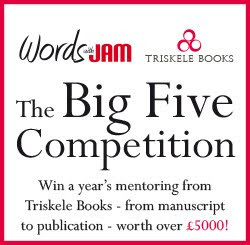 They specialise in providing self-editing feedback on writing, launching first-time authors and scout for agents for published and unpublished writers. Please contact helen@cornerstones.co.uk for more information.